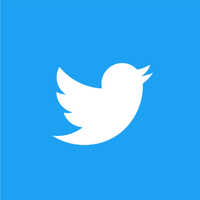 Twitter’s job is to help people stay informed about what’s happening in the world and what people are talking about, from politics and sports to entertainment and everyday interests. In the Middle East, an influential leader who has managed to take the evolution of communication by storm is His Highness Sheikh Mohammed bin Rashid Al Maktoum, Vice President and Prime Minister of the United Arab Emirates and Ruler of Dubai. As Twitter’s most followed leader in the Arab world, @HHShkMohd currently has over 8 million followers on the platform, has sent out over 5,000 Tweets and is among the world's top 10 leaders on the Twitter scoreboard. Over the years, his popularity has only amplified as this year alone his account has garnered a 23% increase in the number of followers. Over the years Sheikh Mohammed has turned to Twitter to announce some of the UAE’s most ground breaking news and initiatives. The UAE 13th Cabinet witnessed the formation of new Cabinet posts that include a Ministry of Artificial Intelligence, a Ministry of State for Advanced Sciences, as well as a Ministry of Food Security. The Tweet announcing the Ministry of Artificial Intelligence was @HHShkMohd‘s most Retweeted post in the 2017 reshuffle. Five out of the six new members are in their twenties and thirties. Moreover, this year's Cabinet has a total of nine women, making up 30% of the UAE's Cabinet. As a Twitter veteran, His Highness continued the series of Tweets by thanking the past ministers, through Tweeting his appreciation for all their hard work and dedication to the UAE government over the years. It’s worth noting that this is the fourth time that HH Sheikh Mohammed announces the new UAE Cabinet on Twitter. During the 2016 Cabinet reshuffle, the Tweet regarding the appointment of Shamma Al Mazroui @shamma as the first Minister of Youth was amongst his most Retweeted and liked posts.